Follow in the footsteps of van Gogh, Dali, Cezanne, and Toulouse-Lautrec, and celebrate the splendor of the finest attractions of France on your 12-day South of France tour. Explore the banks of tranquil waterways, both natural and manmade. Immerse yourself in the scenery and indulge in the flavors of the different cities, each offering a new twist on the French culture you thought you knew. Experience how the wealth of history has shaped and enriched the South of France, from the rolling mountaintops of Pyrenees to the canals of Languedoc, and the lavender fields of Provence. The moniker of Toulouse as the “La Ville Rose,” or The Pink City, emanates from the hues of the bricks supporting various buildings around town. Charming cobblestone pedestrian lanes wind through the medieval Old Quarter. Cafes set out umbrella-clad tables where locals watch the passersby as they sip their espresso. The 18th-century Capitole (Capitol of Toulouse) building encapsulates the classic architecture of the city. Your private transfer greets you at Toulouse-Blagnac Airport upon your arrival. The city brims with a youthful ambiance, stemming from the largest university in France outside of Paris. 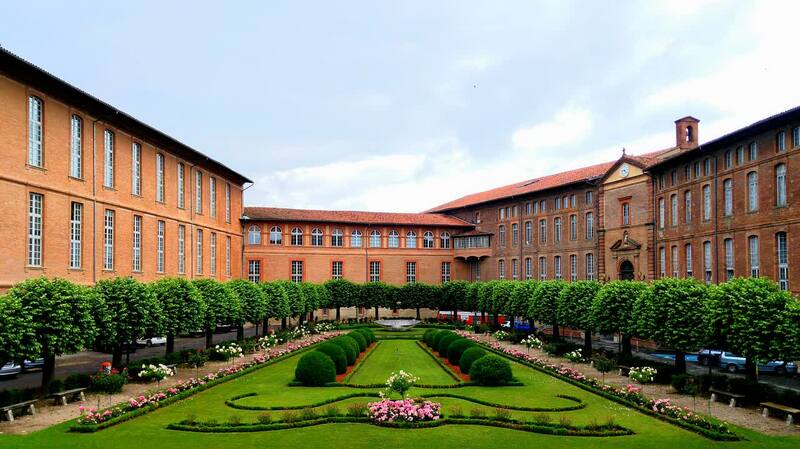 You settle into the small commune of Soréze, beneath the lingering gaze of L’Abbaye Ecole de Soréze. Ancient homes, many of them half-timbered, border the country lanes. Market traders carry out their business in the small arcades located on the first floor of numerous traditional homes near the center of the town. A large 15th-century bell tower adorns the Church of Saint-Martin. Benedictine monks constructed the abbey in the 8th century. You find comforts in the luxury of your hotel and the charms of the traditional French village. 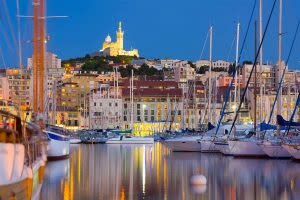 Consider learning more about the best South of France tour companies, and discover how they are able to craft a highly unique itinerary personalized to your specific interests. In the morning, the aroma of freshly baked croissants emanates from the local bakery. The market opens its doors on the main street of Soréze showcasing bright fruits and ripe vegetables. At breakfast, you can linger in the medieval ambiance of town and sip a rich espresso, immersing yourself in the preferred meal of French citizens. After breakfast, your guide leads you to the town of Albi, known for its marketplace and as being the home of the famous 19th-century artist Henri de Toulouse-Lautrec. The town lies on the banks of the Tarn River with a towering skyline created by the fortress-like cathedral. 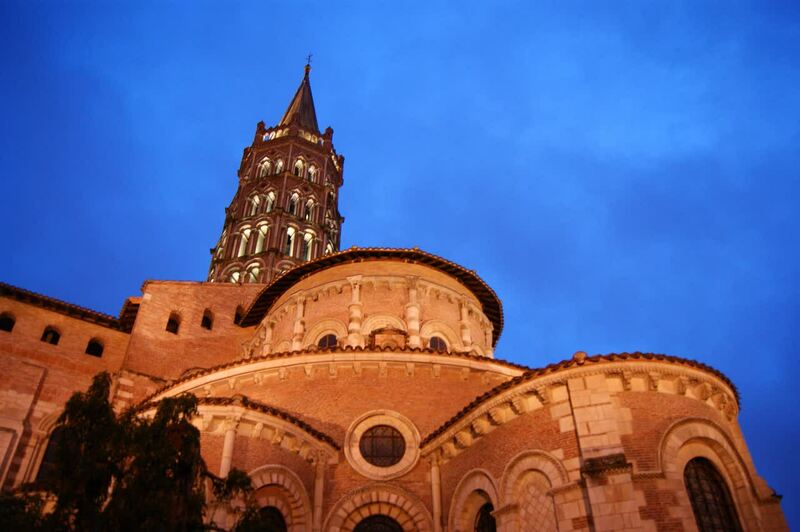 The 12th-century Chathédrale Sainte-Cécile maintains its status as the largest brick cathedral in the world. Its size of 370 feet by 115 feet accentuates the exquisite details of the structure’s Gothic architecture. The interior ceiling is painted azure, imitating the hues of the tranquil river. The aroma of blossoming roses emanates from the gardens of the Palais de la Berbie, the Bishop’s palace near the riverbanks. The palace terrace offers spectacular views of the Tarn Valley. The palace houses the Musée Toulouse-Lautrec, which contains pictures, drawings, lithographs, and 31 of the artist’s most famous posters. The palace was constructed in the 13th century. The heavy and dramatic stone of the exterior contrasts the delicate artwork the structure holds. Rediscover the beauty of Toulouse-Lautrec’s ability to capture the movement and attitude of Montmartre and France. The sunlight washes over the Abbey-Ecole de Soréze and illuminates the structure’s 14-acre estate. Sunlight pours through the large windows filling the grand hallways. In July, the village fills with visitors eager to participate in the multiple-day “Musique des Lumieres” festival. Lightshows and opera performances create a festive atmosphere encircled by the traditional village architecture. After breakfast, your guide takes you to the rocky hilltop town of Carcassonne. Exquisitely preserved ramparts adorn the lush grass hills, rising above the cypress trees and surrounding forest. Spiky turrets top the stout walls. From a distance, the town looks like a painting of a castle from a fairytale. Carcassonne boasts the longest city walls remaining on the European continent. Romans constructed the battlement foundations in the 1st century AD. There are 52 stone towers that cast shadows over the cobbled lanes and courtyards of the town. The streets entwine around shops and restaurants like a maze. You gain access to a walk atop the walls of the Chateau Comtal, a 12th-century keep constructed for the Viscounts of Carcassonne. You have an unadulterated view of the verdant countryside and the Pyrenees overtaking the horizon. The town of Perpignan nestles in the foothills of the Pyrenees, blending Spanish and French culture. Lemon and peach trees shade the countryside. The scent of tangerines drifts down the tight-knit cobbled alleys of Old Town. After breakfast, you cross the border into Spain to visit Figueres, the birthplace of the Surrealist painter Salvador Dali. The artist transformed a 19th-century theater from his youth to create the extraordinary Teatre-Museu Dali, leaving a testament to surrealism and a flamboyant legacy. Gigantic eggs adorn the pink structure. The architecture resembles a medieval castle, similar to the ramparts of Carcassonne. The collection displays a series of Dali’s work spanning his career, from paintings to jewelry. His painting, Surrealist Composition with Invisible Figures, positions an indented bed and chair in the center. Water flows calmly in the background. A small pillar supports a large gem in the front left corner. The painting captures the familiar style attributed to Dali by using natural landscapes to contrast the unnatural elements. At breakfast, the aroma of rich espresso blends with the lingering scent of peaches and lemons emanating from the fruit trees encircling the Perpignan. Your guide escorts you to the town of Collioure after your meal, known as the “City of Painters.” The Catalan coast edges the historic town. Small fishing boats wade in the tranquil waters against a backdrop of pastel colored homes. The town inspired various artists through its quiet charms, from Matisse to Picasso. Art workshops and galleries fill the stress. The breeze carries the fresh aroma of the Mediterranean. Large rocks and the historic Chateau Royal frame the natural harbor. The Mallorcan Royal Family constructed the castle in the 13th century over Roman foundations. The Spanish occupied the castle until the 17th century when the French overtook the city. The Church of Notre Dame des Anges stands near the edge of the harbor. The cream-colored stone stands out against the cobalt blue water. The church’s foundations were constructed in the sea. The medieval belfry acted as a warning tower to boats moving through the harbor in the 17th century. The Mediterranean Gothic style adds layers of texture to the town’s coastal past. Today you leave behind the charms of Perpignan, venturing to the famous landscape of Provencal at Avignon. En route, your guide takes you along the Canal du Midi. King Louis XIV commissioned the waterway in the 17th century to link the Atlantic Ocean to the Mediterranean Sea. A bike path runs alongside the canal, stretching 40 miles from Toulouse to Port Lauragais. Step onto a traditional flat-bottomed boat to cruise beneath the rows of shady trees. Grass tufts grow along the riverbanks. Locals stroll along pleasant walkways. The green waters of the canal meander through the countryside. Tree roots plant firmly into the banks to help reinforce the canal. A sign at Seuil de Naurouze indicates the canal’s highest point at 620 feet above sea level. Travel beneath the brick bridges. The trees open to traditional countryside cottages looking over the waterway. The 14th-century Papal Palace of Avignon crowns the city, acting as the residence of seven different Popes during the Middle Ages. The stone ramparts continue to add a dramatic effect to the elegant structure. The university creates a vibrant atmosphere along the ancient cobbled streets at all times of the day. Lush trees shade the café tables positioned in the quiet public squares. 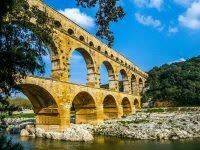 After breakfast, you venture to Pont du Gard, the 1st-century Roman aqueduct decorating the Provencal countryside. 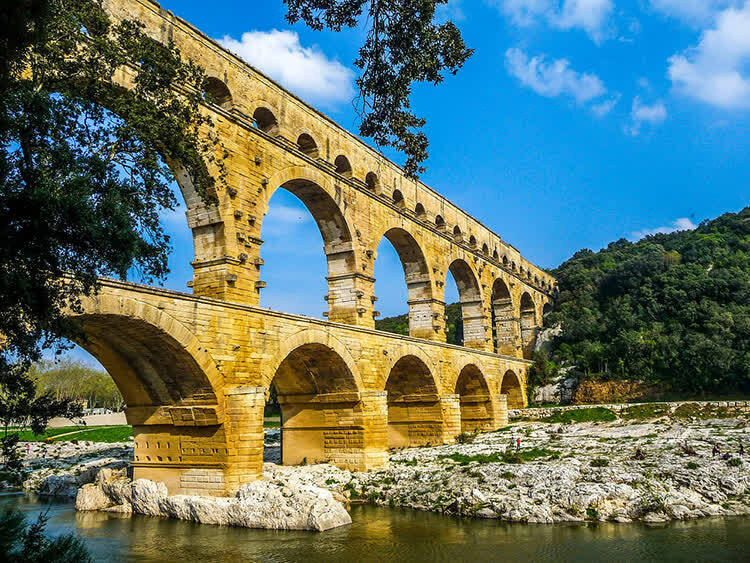 The structure carried water to the city of Nimes for nearly 500 years and continues to provide insight into the remarkable engineering feats of the Roman Empire. The aqueduct spanned more than 30 miles at a height of nearly 200 feet with three stories of arches. The Roman construct continues to cross the Gardon River. The soft yellow limestone blocks were taken from a nearby quarry. Calcium deposits along the top helped the stone from wearing away due to the rushing water. Archeologist uncovered numbering on the stones, along with points of support for the scaffolding, evidence indicative of how well organized the Roman engineers once were. The elegant arches of the 12th-century Saint Bénézet Bridge reflect in the Rhône River. What once acted as an important trade route for Avignon now is a testament to the city’s rich history. After breakfast, you continue to uncover the Roman influence on Provence with a visit to Arles, a city once a part of Roman Gaul. Julius Caesar founded Arles in 46 BC. Your guide leads you on a walking tour through the unforgettable Roman monuments that once inspired the title “Little Rome of Gaul.” The Amphitheater was erected in the 1st century AD. It has a length of 446 feet, a width of 351 feet, and could accommodate up to 21,000 spectators. 60 archways adorn the circular façade. Patrons of the city added towers to the structure in the Middle Ages. Today you can climb to the top of the tower for a panoramic view of Arles. The Roman burial grounds provide testament to the importance of Arles in history. However, to protect the historical accuracy of the burial traditions of the region, the ornate tombs and coffins are housed in local museums, including the Musée d’Art Chrétien. In the morning, the aroma of savory crepes drifts along the cobblestone streets of Avignon’s oldest neighborhood. Locals frequent Tapenade Café, excited to sit outside with a fresh cup of espresso and pass the morning. After breakfast, you venture to the town of Les-Baux-de-Provence, a medieval city positioned atop a rock spur. Continue to St. Paul de Mausole in Rémyde-Provence. The monastery is famous for having housed Vincent van Gogh when he suffered from mental illness. Rows of lavender grow along the outskirts of town. The monastery was built in the 11th century and retains its connection to Provencal Romanesque architecture. Flowers blossom in the courtyard, surrounded by trimmed hedges. A pyramidal roof tops the two-story square steeple. You traverse the halls and stairwell leading to a permanent exhibition of artwork produced by patients of the art therapy studio. Wheat fields spread across the countryside, the same wheat fields that inspired van Gogh’s painting of the same name. To the right of the stairwell is the room where the famous artist once stayed. Van Gogh produced 143 oil paintings and more than 100 drawings during his time at St. Paul de Mausole, including one of his most famous works, The Starry Night. In the morning, the ochre color of the hilltop town of Roussillon stands out against the bright blue sky of the countryside. The town stands at an altitude of 125 feet above sea level. Emerald pine trees grow over the base of the hillside. The village stands at the heart of one of the largest ochre deposits in the world. The red, yellow, and brown cliffs glow against the lush countryside. The tranquil village atmosphere fills the meandering streets. Brightly painted shutters decorate home facades. Two trails traverse the countryside around the ochre deposits. Hills turn into cliffs, showcasing historical layers dating back 110 million years. Your exploration of the Provencal countryside continues in the village of Gordes. White and gray stone homes spiral along the rocky mountaintop. A medieval castle adorns the summit overlooking the valley. Stroll past beautiful old doorways and perfectly restored arcades. The mountains of Luberon wrap around the forested dale. Hidden beneath the canopy is the 12th-century Abbey of Senanque, home to Cistercian monks that produce lavender, honey, and liqueurs. The garden glows with rows of purple budding lavender bushes. The fountains of Aix-en-Provence trickle into the quiet pools decorating the tranquil squares around town. Oak trees line the main boulevard of Cours Mirabeau. The birthplace of Paul Cézanne captures the imagination with serene streets and elegant historic palaces. The city emanates a sense of Parisian style. Dolphins adorn the 17th-century Four Dolphins Fountain in the heart of the Mazarin district. The stone statues spout water fed by an underground spring and frame the obelisk. After breakfast, your guide leads you along the charming streets of the city to immerse yourself once more in the leisure in the South of France. The Baroque and Rococo Square Place d’Albertas was designed in the 18th century with a sensational fountain set in the middle. Continue to the Cathédrale St-Sauveur to witness the 13th-century Romanesque architecture housing a 5th-century sarcophagus in the apse. The blend of distinctive architectural styles highlights the city’s layered history. In the morning, cafés fill with the bustle of locals in search of their first sip of cappuccino. Trees cast refreshing shade over the outdoor seating. You can hear the fountains splashing across the city, giving credence to the nickname, “City of One Thousand Fountains.” Elegant townhouses shine a honey hue in the morning light. The cool breeze carries the aroma of lavender. 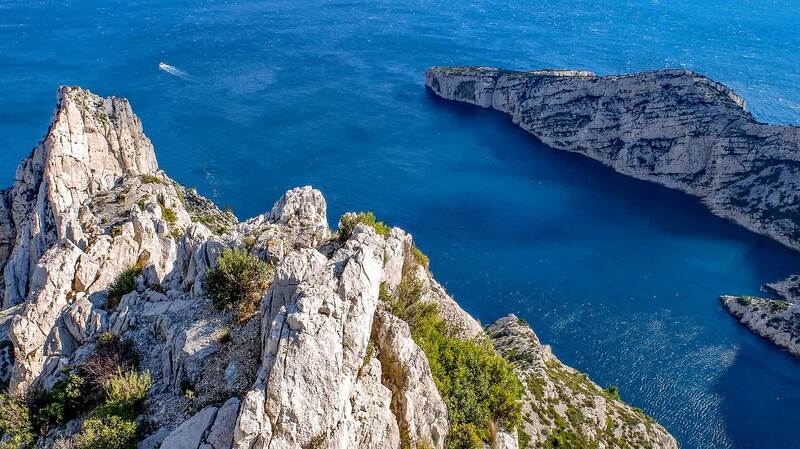 After breakfast, your private transfer meets you at the hotel and escorts you to Marseille. The cosmopolitan city looks out over the serene blue waters of the Mediterranean Sea. Merchants from around the region have settled on the shores of the city since the Greeks arrived in the 6th century BC. Old Town maintains the historic atmosphere, reaching the charming coastal esplanade. 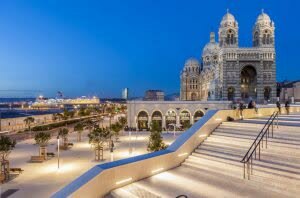 You continue to Marseille airport for your flight home, taking the wonders of your trip with you.